Fishing is one of my favorite pastimes, and I always take a fish finder with me to give me a little extra help. 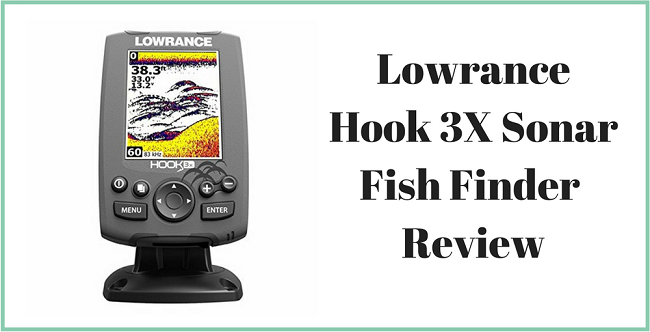 I decided to look for some fish finders, and then, I came across the Lowrance Hook 3X Sonar. I figured for the price, it would be a decent price for what seems like a good fish finder. 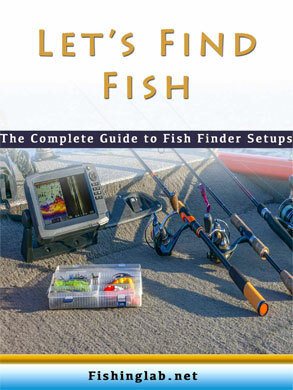 The reason behind this review is to help others who want a good fish finder for them. No matter if you’re fishing from a boat, or walking along a shore, having a fish finder makes fishing a breeze. This review breaks down everything about the fish finder, and it may be what you need. The LED-backlight helps brighten the picture in front of you. The 3-inch color display provides a clear picture of the water and everything nearby. It is easy to read and see in the bright sunlight. If you’re standing on the side of the fish finder, you can see the monitor clearly from a wide viewing angle. The resolution is 320 x 240 making it easy to see what is lurking underneath the waves. There is a broadband sounder attached to the fish finder that lets you know what’s nearby. It identifies fish, bottom contours, structure detail, bottom hardness, and thermoclines. You can determine which spot the fish are hiding, and go where there are plenty around. Combined with the bright display, no fish is safe, even when they’re hiding in deep areas. It identifies the environment easily and processes the information straight to the display. The advanced signal processing computer adjusts the settings automatically. It can detect fish, structures, and the bottom with more detail and clarity. The fish finder doesn’t require any manual tinkering with the advanced signal processing option. It can be dropped into the water, and will detect everything in your vicinity. You can pick out reefs and follow the fish that are hiding. No place is safe for them to stay when you’re using the fish finder. The fish finder uses a dual frequency that allows you to get the maximum view beneath the boat. It runs at 83 or 200 kHz for maximum exposure under the water. The 83 kHz sonar option allows the viewer to get up to 60 degrees of conical coverage. It’s ideal for showing the largest fish arch and search larger areas where the fish are hiding. The fish won’t stand a chance when you can see everything underneath the surface. Does it come with a transducer that allows you to mount on a trolling motor? Yes, it does. It is easy to setup and install on your boat. How can you tell if there are fish nearby? There is a way to change the settings so you can see the fish better. You want to select the fish finder and set it to the “bent humpback” curves option. Does it run on a 12-volt battery? Yes, it does. You will need to buy the battery separate from the unit. 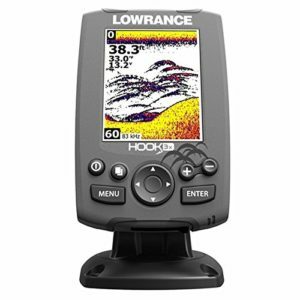 The Lowrance Hook 3X Sonar is a great deal. While it may not work at higher speeds on a boat, it does everything you want a fish finder to do. You can see the bottom of the water to help you look for the best fishing spots. The bright display is large enough so you can see it from any angle you’re sitting. You can change the frequency to help you see everything in different depths of water. It’s a good value on a fish finder that can help you reel in some of the biggest fish in your pond or lake.